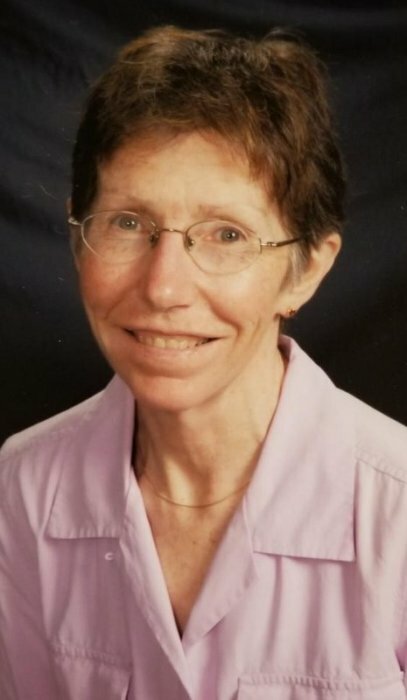 Patricia P. Peyla, a nurse anesthetist at St. Elizabeth’s Medical Center in Wabasha, died Friday, November 30, 2018 of cancer at her home in Wabasha. She was born October 14, 1950 in Chicago, IL, the daughter of George and Marcella (Gruber) Purves. Shortly after birth the family moved to Phoenix, AZ where she was raised and attended school. After graduating from Arizona State University with a degree in nursing, Pat came to Rochester to attend Nurse Anesthesia School at the Mayo Clinic. She graduated in 1978. She married the love of her life, Dr. Tom Peyla, on May 5, 1978 at St. Francis Catholic Church in Rochester. Tom’s first wife, Betty, died in 1977. The couple lived in Rochester and worked at Olmsted Medical Center until moving to Wabasha in 1991. Pat began working at various hospitals in Minnesota and Wisconsin to increase her skills and optimize her time off work. Finally, a part-time position became available at St. Elizabeth’s, where she worked until 2018. Pat and Tom had the travel bug and were to travel to many places, especially after Tom retired.They also enjoyed family time with their children. Pat and Tom were fortunate to be able to travel to Central America every year, for over 25 years, to donate their medical skills to improve the lives of the poor. Pat was instrumental in developing post operative pain management in Zacapa, Guatemala. She was an avid sports woman, first running and then bicycling. She rode across Iowa several times in the annual RAGBRAI ride and she once rode across the entire United States. In fact, the weather had to be pretty bad to keep her off her bicycle. She was a member of St. Agnes Catholic Church in Kellogg. Pat is survived by her husband, Dr. Tom Peyla, Wabasha, MN; children, Michael Peyla, Suzanne Peyla, Andrea (Dale) Cossette, and Christina Peyla, all of Rochester, MN, Tony Peyla, Red Wing, MN, Cathy (Mark) Dawson, Dallas, TX and Timothy (Luizia) Peyla, Scottsdale, AZ; grandson, Cody Cossette; sister, Peg Purves, Rochester, MN; niece, Heather Campbell and nephews, Sean and Cody Drew. She was preceded in death by son, Steve Peyla, and her parents, George and Marcella. A memorial Mass will be celebrated on Wednesday, December 5, 2018 at 11:00am at St. Agnes Catholic Church in Kellogg with the Reverend Fathers Gregory Parrott, James Russell and Donald Schmitz and Deacon John Hust officiating. Interment will follow at St. Felix Cemetery in Wabasha. Family and friends may call at Abbott Funeral Home & Crematory on Tuesday, December 4, 2018 from 4-8pm and they may call at the church on Wednesday one hour before the service. Memorials are preferred to St. Elizabeth’s Community Development Foundation, 1200 5th Grant Blvd. W., Wabasha, MN 55981, St. Felix School, 130 3rd St. E., Wabasha, MN 55981, Great River Homes, 611 Broadway Ave., Wabasha, MN 55981 or to Bear Creek Services, 3108 Highway 52N, Rochester, MN 55901.